Do you remember writing a list of all the presents you wanted for Santa to bring you on Christmas morning? I know my sisters and I did every year when we were kids. Of course, technology has changed so much since I was a child 25 years ago. 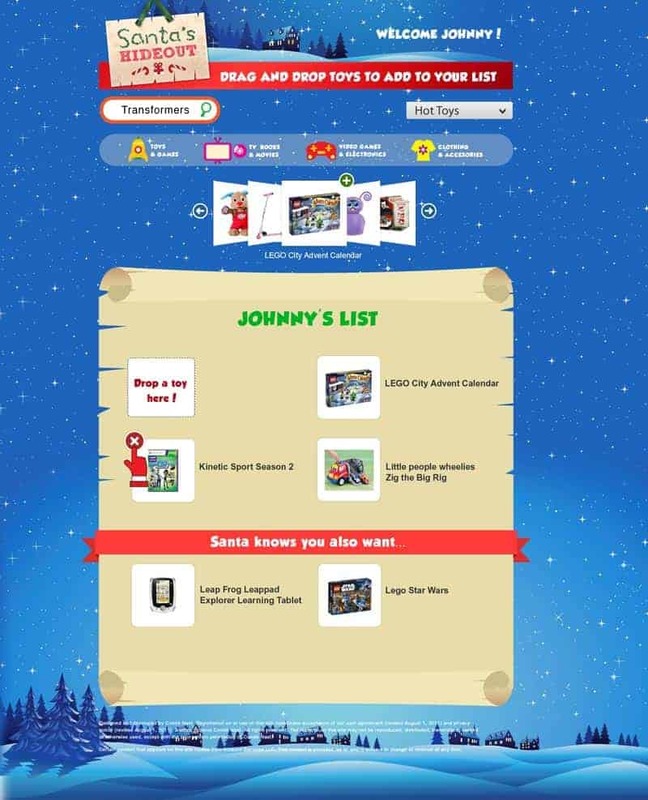 This year, kids can make their Christmas wishlist online at Santa’s Hideout and parents (and other relatives and friends) will know exactly what that child wants for Christmas. It takes the stress out of gift-giving! The parent creates a free account at Santa’s Hideout for each child and sets the limit of how many items the child can select, the budget and even decide on items that can and can’t be shown. Then the child gets to create his/her list by dragging and dropping items they want. As a parent, you have complete control over the list so if you don’t like something your child has selected, you can just delete it. After the list is complete, the parent can share the list with friends and relatives via email, Facebook, Twitter, Google+ or Tumblr. You will also receive an email alert when any updates are made to the list so you are always know who is purchasing what gift. You can purchase the gifts on the list on Amazon via the Santa’s Hideout website. If you purchased them offline you can still record that the item was purchased. Parents can also create a group list if it’s a purchase for all the children like grandma buying the kids an Xbox. Another neat feature is the ability to send messages to the child from Santa himself. You can choose from some pre-written themed messages or write your own. The messages will be delivered to your child via email (either your email or the child’s email if they have one). I invite you to check out Santa’s Hideout and see how easy and fun it is to use. I’ve got my youngest Bridget set up on there and we are working on her list! 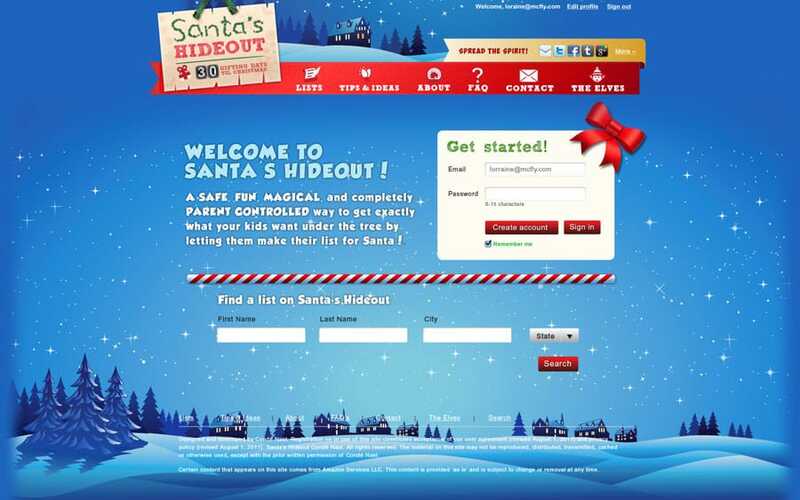 Check out this video to learn more and see Santa’s Hideout in action! 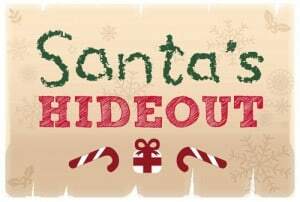 Connect with Santa’s Hideout on Facebook, Google+, Tumblr and Twitter.